When incoming freshman and avid user of Reddit Heba Hamood first came to the Dearborn campus, one of the first things she did was search for a campus subreddit, or Reddit community. To her dismay, she found two that were both unused and inactive. 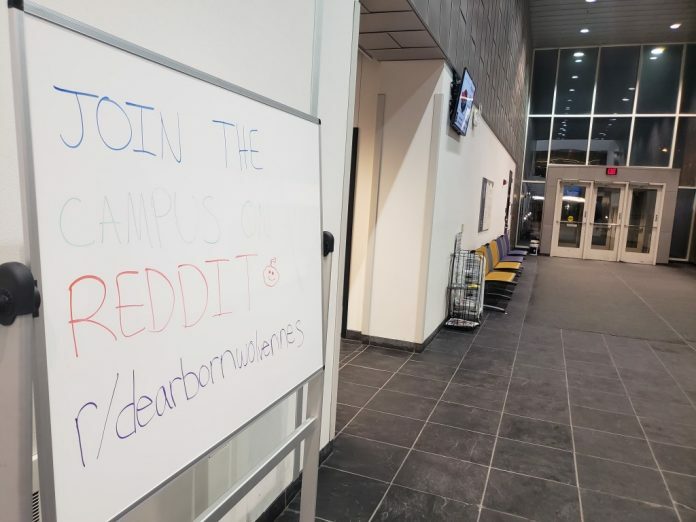 Hamood began advertising her new page across campus, adorning boards in CASL and the Natural Sciences Building with invitations to the subreddit. She also created an Instagram page for the forum. Four months later, Hamood’s “r/dearbornwolverines” sits at 85 subscribers, not a large amount but more than previous iterations, both of which never surpassed 30 subscribers. Hamood hopes that the subreddit can serve as a way to connect students all over the university. Hamood points to the Ann Arbor campus’s subreddit as the model she’d like to follow. 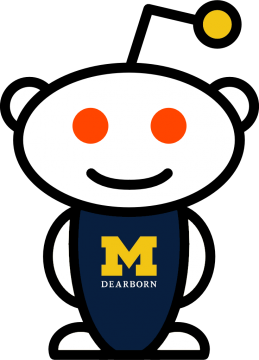 The r/UofM subreddit sits at 11,944 subscribers and features everything from campus sports to advice on classes, schedules and campus life. The Flint campus also has a subreddit that currently sits at 143 subscribers. Reddit, the self titled “front page of the Internet,” serves as the home for a collection of forums, or subreddits, where users can post links or content and comment on other posts. Reddit users enjoy a form of anonymity, logging in with usernames instead of their actual names. The ability to freely communicate has allowed other school subreddits to flourish, success Hamood is committed to replicating on the Dearborn campus.